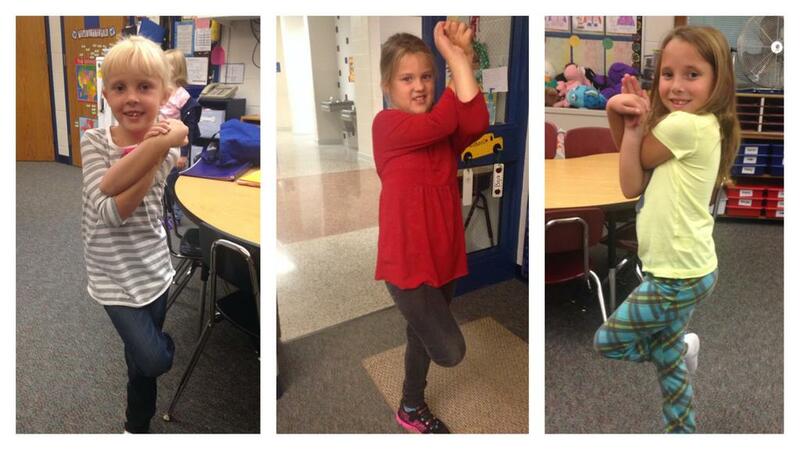 These talented first graders and their creative, tech savvy teacher have been tweeting about their experiences with Sing Song Yoga and we’re loving it! 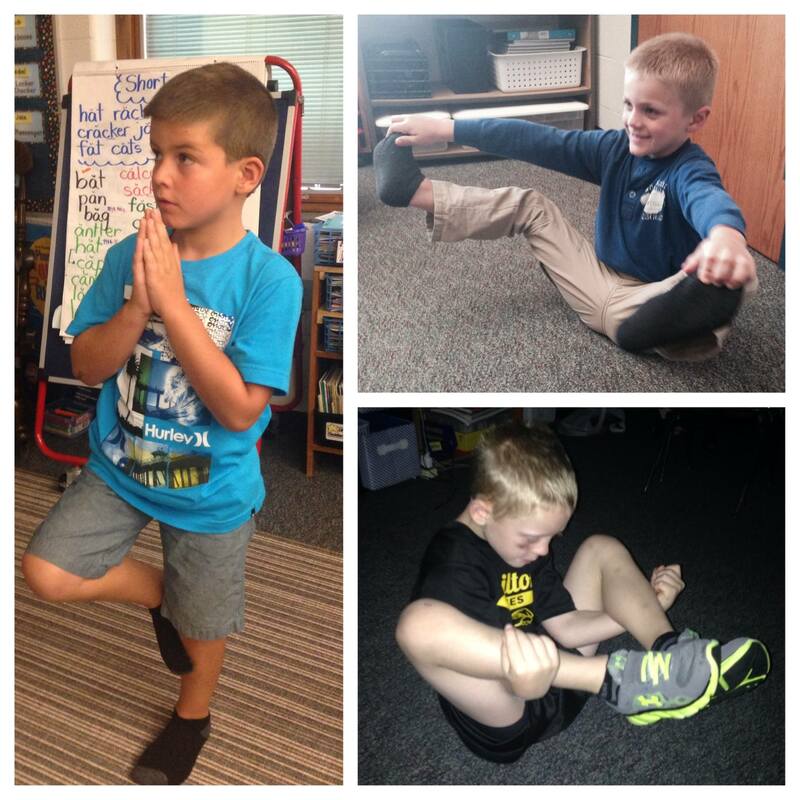 Thank you @MrsZFabFirsties for sharing your yoga experiences of kids yoga with us and the world! Thank you also for the inspiration for this post!! 1. Know that it’s okay to fall over. When I was first learning to do headstand, I was unsure about moving my pose away from the security of the wall. However, once my instructor mentioned that it’s okay to fall when trying headstand in the middle of the room, I gave it a shot and never turned back! Now it’s a favorite of mine! Sometimes children (and adults) simply need to know that it’s okay to lose their balance and fall. Taking the pressure off can sometimes be all the support they need to feel success in a balancing pose. 2. Try to look at one spot in front of you. Fix your relaxed gaze on something that is not moving. To experience how helpful our eyes are when balancing try this: Before doing a balancing pose, experiment with the kids having them close their eyes while in Mountain Pose (Tadasana). Even Mountain Pose feels wobbly with our eyes closed. Then compare how Mountain feels with their eyes open. Then do Tree Pose (Vrksasana) and compare the different experiences of first, moving your eyes all over the room and second, keeping your eyes fixed on one spot. Might be fun to illustrate the comparing/contrasting experiences with a Venn Diagram in the classroom, with some interactive or shared writing. 3. Hold your arms out to the side like a tightrope walker. Children tend to do this naturally, but you can also discuss this with them. You could also, for example, do Eagle Pose (Garudasana) twice. Once with their arms wrapped together in front of their chest and once with their arms out to the side. And ask the kids which feels easier. Answers will likely vary but it’s powerful to feel these differences within their own bodies. 4. Start at the ground and move up. Focus first on having strong balanced feet (or whatever body part is on the ground). Try to distribute weight evenly between the front and back and between the inside and outside of each foot. Oftentimes when yogis are attempting a balancing pose, they don’t even notice that they are holding their feet crooked and half off the ground because they are so focused on balancing. So again it can be helpful to experiment with Mountain Pose (Tadasana). Close the eyes for a moment to feel how the weight changes within their feet as they wobble. Try to keep from falling over by focusing on the feet remaining flat on the floor. And once they open their eyes try to keep their attention on their feet while they steady their balance. Then try to re-balance the feet before beginning the next balancing pose. Closing the eyes allows us to attempt to focus more clearly on other balancing systems that we are less likely to notice when our vision is being used — in this case the feet (and vestibular system). 5. Imagine that you’re floating up. Next time the kids are doing a balancing pose have them imagine that they are really light and nearly weightless — maybe even that their foot is glued to the earth with hardly any gravity. This one in particular is not based in anything I’ve learned, only in what I’ve experienced. So give it shot. Bonus: And just for fun try thinking about your belly button while balancing. It seems to help sometimes — and if not, it tends to bring on giggles 🙂 Thank you James Fry for this one! This entry was posted	on Sunday, October 19th, 2014. 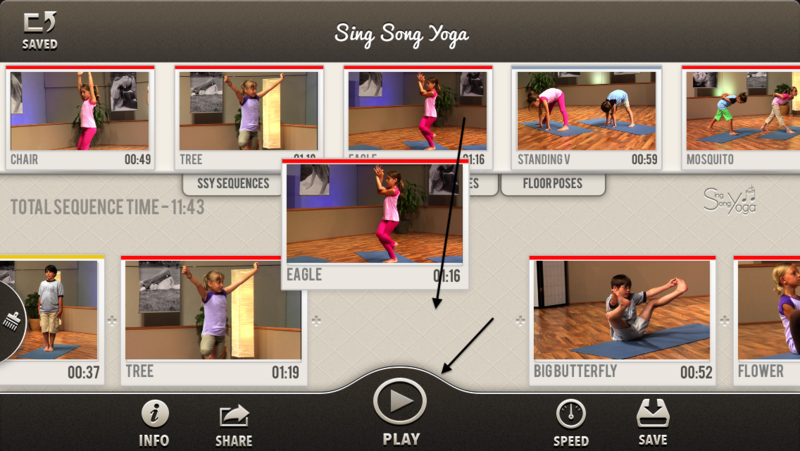 Posted in Education, Sing Song Yoga.